Build dates: 3 & 4 / May / 2019. We would love to have a better home, but our income is not enough, My sister is the owner of the land but she is sick, she had an accident. We dont fit anymore in our house. I will apreciatte if you build a home for us. We would love to have youre help to build a new home, its not enough big for my family, we share rooms with my kids and my granddaugther. The waters gets in and we can fix the roof cause our income is low. We really need youre help,thank you for reading our letter. We want to ask for youre help to build a house for us, because the one we have is in a bad condition, the water gets in. Our income its not enough because my husband doesnt have a stable job because of his scolarshi. Thank you for helping the low income people. Build dates: 3&4 / May / 2019. The reason for this card is because the house where live is about to fall down, and we havent been able to rebuild because two of our sons have cleft lip and palate. God put in our way The children hospital to help us for the surgeries and we still go to therapies to improve their vocabulary, they would do another surgery to one of my kids. 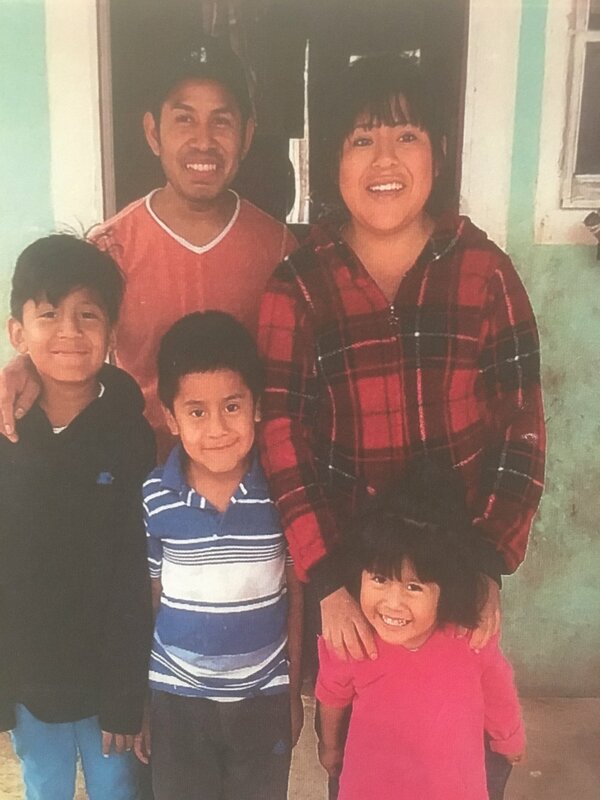 We are the family Andrade Andrade we want to ask you for help becouse our roof is in very bad coditions, the water gets in and i have three kids. We only have one bed cause theirs not enough space for anotherone, and i have to sleep on the floor. I dont have enough resources to fix the roof. I would be very gratefull if you help us. Thank you for taking the time to read this letter. Build dates: 3&4 / may /2019. Hi my name is Patricia Andrade, we need youre help cause our house is very small for our 5 family members. We dont have enough money to make it bigger, i have diabetes an i cant work . Thank you. Hi my name is Jaime saavedra i have 2 kids, and i work very hard for my familys future, i feel sometimes that my kids arent happy because of the way that we live and we would love to have a safer house. Thank you for taking youre time to read this and God bless you. Hi im asking for youre help, cause im a single mother, and is very difficult for me being the support of the family, cause is my responsibility to provide the family income. My son has a right retrocerebellar cyst he needs a surgery. We really need this new home cause the wood is wearing out and is no longer safe for my family.Thank you. Hi we are asking for youre help to build us a new house because we dont have enough money to build. Our weekly pay is not enough to cover the cost of a new home.Our wages is low. Im praying to the Lord so he can put us in your hearts. Thank you for taking the time to read our letter. God bless you. Hi my name is Mariana Quezada and my husband is Cristo, and our son is jesus. We live in a small room and when it rains the water gets in, also the wind gets in and it gets really cold, my son suffers from his bones hurting. We have to take showers on the side of the bed, theirs a lot of humidity and lots of mosquitos ive been asking God for help so you can give us the opportunity of having our home. Thank you and God bless you.